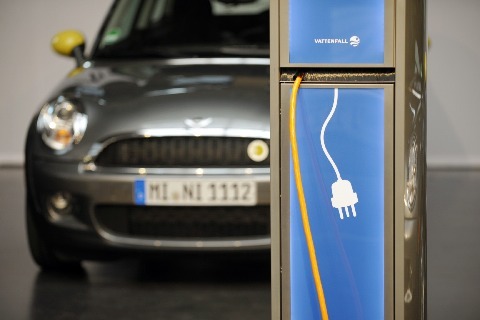 In a recently published study experts predict an electric vehicle surge in 2011. The report issued by Zpryme Research and Consulting, and sponsored by Airbiquity indicates that enthusiasts of plug-in electric vehicles will… er… “drive” the market rapidly forward. Within 5 years, more than three-quarters of a million EVs will be on U.S. roads. Even though less than 10% of people surveyed stated they were “very likely” to buy an electric car in the next year, there is enough interest – and, perhaps most importantly – infrastructure to support a healthy EV market. In addition to rapid charging stations along interstates, grid updates to accommodate electrical demand are underway. Companies such as GE, Leviton, ABB and Siemens are among leaders that are working to provide advanced EV infrastructure. Utilities are also developing EV grid integration road maps and infrastructure that to absorb the impact of thousands of EVs. While there are certainly a number of questions concerning electric cars, more than 37% of people surveyed responded that they were very or somewhat likely to purchase an electric vehicle in the near future. Brand awareness is also high, with most consumers having heard of the Chevy Volt, Ford Focus EV, the Nissan LEAF and the Tesla Roadster. Now that there are finally a number of electric vehicles available to U.S. consumers, 2011 will be an important “test year” for their long-term viability. If you were included in the survey, how likely would you be to purchase an electric car in the near future? Nissan LEAF Electric Cars Arrive in the U.S.
Nissan Leaf to Get 99 MPG?